Throughout the year, hustling between our jobs and personal life, we forget that we brought home a furry one who not only needs but also deserves our time and attention after the daily dose of drooly kisses they give us when we return home, without the knowledge or care if we succeeded in that day’s task or not. They deserve a day dedicated to them, and that day is now knocking on your door as Pet Fed powered by Dogsee, India’s biggest pet festival, debuts in Mumbai on 16-17th December at MMRDA Grounds, BKC. The allegation that it will be the cutest weekend of the year with 3000+ pets (dog, cat, hamsters and guinea pigs included) should be enough to get you there, but the immense stature of activities planned is the extra nudge that will have you rushing to book the tickets now! The activity ring is lined with displays like the Security Dog Show, Good Dog Citizen Program and an Obedience Display! And if your pet has some cool tricks up their sleeves, enroll them for the Pet’s Got Talent, happening for the first time in India and show off how well they can jump through a loop, play dead on command or any such cool trick. Your pet can even try their paw at the Fashion Show and Temptation Alley. Cash prizes are in store for these activities, apart from the whole act being in front of a live audience of 25,000+ pet lovers and a million people who will watch it from their homes on TV on the channel CNBC TV 18 as a 30 minutes dedicated episode! “We're really excited for our debut in Mumbai. 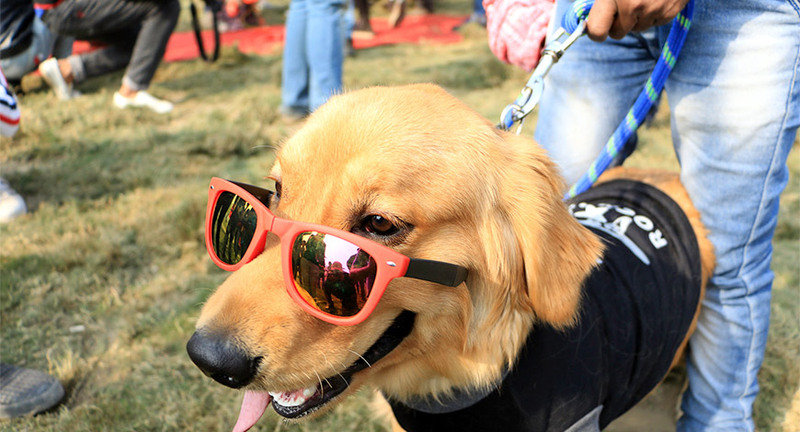 We have a lot of cool things in store for all the animal lovers this year, including India's first ever talent show for pets called Pet's Got Talent. And a world record attempt for the biggest gathering of pets in the world. 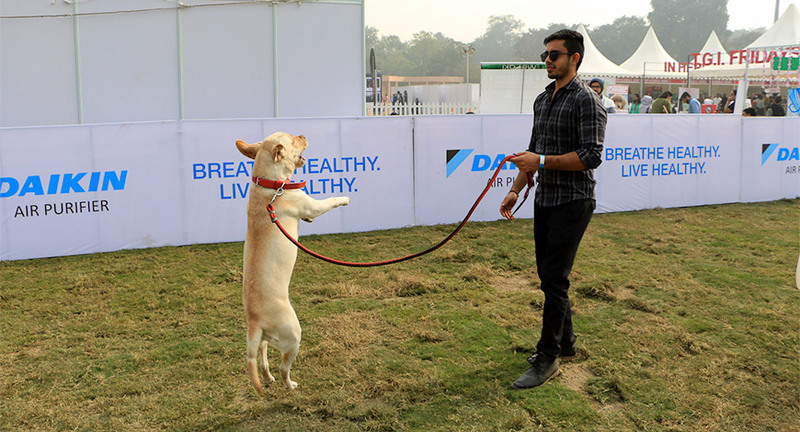 No animal lover can afford to miss this year's editions of Pet Fed!” says Akshay Gupta, Founder of Pet Fed. Pet parents, gear up to set your dog’s name in history, at Pet Fed 2017 powered by Dogsee, in Mumbai, as they are attempting a world record for the Biggest Dog Gathering, and all you need to do is show up! The Off-Leash Play Area is a must drop by with your dogs for an Agility have-a-go, trampolines, ball pools and doggo slides. Do check out the Discover Dogs section as well, which is taken over by 11 dog breeds and mounted with uber cool facts! Pet lovers, do not miss the adoption camps, if you’ve wanted to get home a bundle of joy but haven’t found your furry partner yet, this is where you need to be to ‘tie-the-knot’. With dogs and just more dogs till where your eyes can see, Pet Fed is the place for your yearly dose of Puppy Therapy! And if you’re more into being mastered than being the master yourself, then the Cat Zone is where you should be.With 100+ stalls, food & drinks from multiple brands, a Cat Zone and a separate VIP Lounge, there is something for everyone at this pet festival. Pet Fed is a heaven on earth for pets and pet lovers, join in with or without your furry friend!